After the national prohibition of the manufacture and sale of alcohol took effect in January of 1920, the city of Philadelphia widely ignored this Constitutional amendment. Outraged, Pennsylvania Governor Gifford Pinchot demanded enforcement, so Mayor Freeland Kendrick convinced President Calvin Coolidge to loan him Marine Lieutenant General Smedley Butler for one year to clean up the city. The next year, John Calpin, having just earned a degree in journalism from Temple University, became a police reporter for The Philadelphia Bulletin. 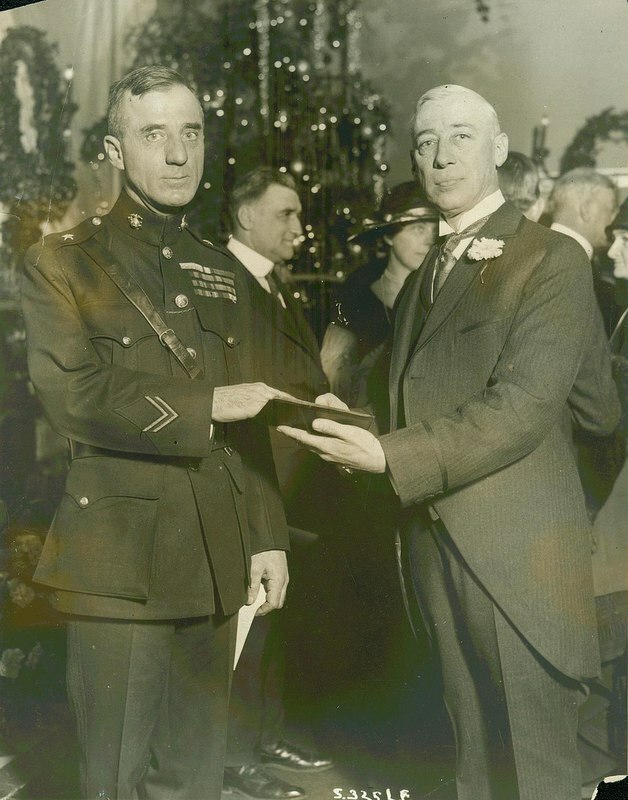 "Smedley Butler Sworn in as Director of Public Safety," U.S. Marine Corps, January 1924. "He [Butler] was a personal friend of Freeland Kendrick, who was the mayor then. Part of the reason why he was brought in—in 1924 was we were getting ready for the Sesquicentennial, and they did want to clean up the city as much as they could from robberies, pick pockets, and vice to make as good as an impression on visitors as they could. Bringing this hardnosed Marine Corps Commander in was in preparation for cleaning up the city. Freeland Kendrick was not the strongest mayor we have ever had, but he did have Smedley Butler’s back on these things." When Butler took his position as Philadelphia's Director of Public Safety in January of 1924, prohibition enforcement was nonexistent. Bootleggers, speakeasies, and commercial vice operators all paid protection money through the police to their ward bosses and the city Republican organization, which used this money to provide "personal services" to poor and immigrant voters and to control elections. Butler soon proved better at his job than anyone had expected, going after not only the bootleggers, speakeasies, and other vice operations concentrated in the city's African-American and immigrant river wards, but also corruption in the police department. 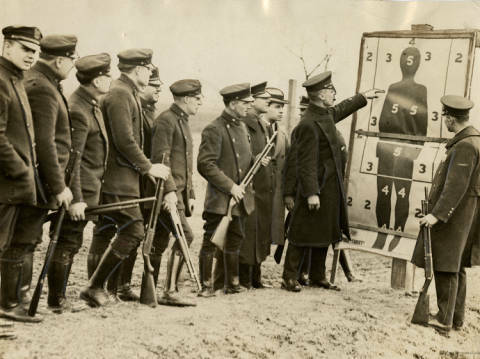 "Philadelphia Police Train with Shotguns" Philadelphia Evening Bulletin, January 30, 1924. In his first forty-eight hours, Butler shut down 973 illegal saloons. To clean up the police department, he transferred whole precincts, and suspended 8 lieutenants. Butler's "pounce" policy of raiding suddenly and repeatedly was working, and also angering the city's Republican leaders. 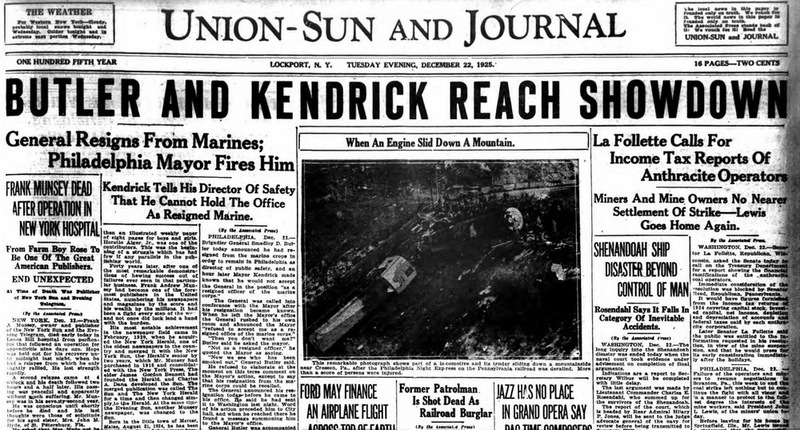 "Butler and Kendrick Reach Showdown", Union Sun and Journal, December 22, 1925. The rift between Butler and "the politicians" soon came to a head. Police officers tipped off speakeasies before raids, continued to collect protection money from the whore houses and gambling operations in the Tenderloin and 7th Ward, and stopped making arrests. The magistrates who ran the police courts threw out the cases. Facing public outrage, Mayor Kendrick convinced President Coolidge to let Butler stay on a second year. But as Butler struggled to enforce the law, his relationship with Kendrick also deteriorated. The final break came after Butler brought prohibition to the rich, raiding the Ritz-Carlton Hotel in November 1925. After Butler left, Philadelphia's speakeasies, whore houses, and illegal gambling operations were again open for business until 1928, when a series of gangland murders drew unwanted public attention. 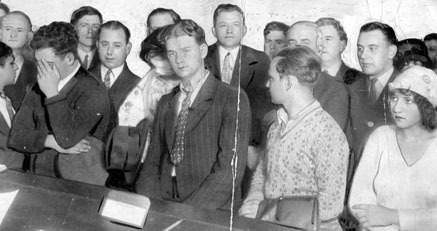 Suspects in the murder of Hugh McLoon, 1928. The grand jury impanelled in August of 1928 soon exposed a network of widespread corruption. An article in Colliers estimated that Philadelphia's annual bill for for alcohol and other "amusements" was $40 million, about half of which went to protection by the Philadelphia police and politicians.